Precision is aware of the importance of streamlined installations in todays environments. A dedicated team of installation managers ensure our products are installed to exacting standards, within agreed timeframes and with minimal disruption to our customers normal operations. 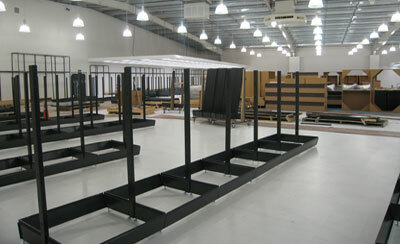 This service equips us to fully manage any fitout from manufacture, to installation, to after-sales service. Repairs, warranty issues and maintenance of product are also handled through this team, and customer services representatives. We have a flexible and highly experienced team of contractors who have worked with us for many years to help achieve the narrowest of timeframes to ensure the site is up and running.